Hello everyone! RR12 here. Let's have some fun! I THOUGHT about putting this in "thoroughbred breeding", but felt more apt to put it here. Be honest ladies: what stallions have you swooning over them? Wanting to kiss their noses? Take their picture? Get a "hoofograph"? Don't be shy! One must be strong and true about their love! I ask only that you post pictures of your crush, and if you have pictures of you WITH your crush.... Please post by all means, and there is no limited number of crushes! Also, if you feel so inclined, you may tell WHY said-stallion is your "crush". I'll start first. Enjoy! Reasons why I have a "crush" on him: MdO is probably, for me, bar-none the most HANDSOME stallion at Darley America, if not IN America. 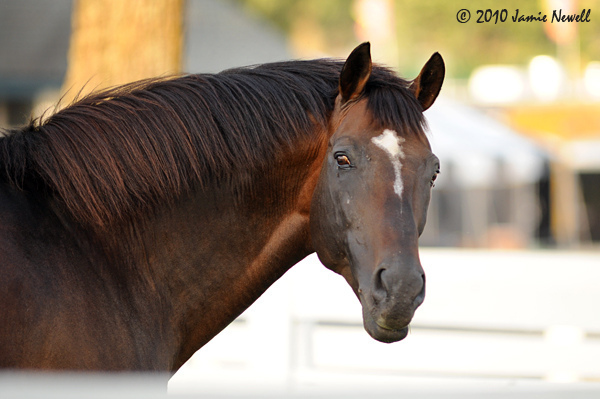 But yet, not only is he handsome-- he has a pedigree, and progeny record to match! As well as being a fine racehorse in his own right, back in his day. This fine horse exudes class, and is a perfect gentleman; always winning the ladies over with class and suavity. Now I know these picks are a little cliche, but come on! Let's see what unlikely crushes are out there! My boy Paynter, of course! I did see him in August at WinStar. He remembered me! Great choice @Casey! And how could he not? You are someone who's been with him, practically all his life! I love how his marking looks like a fan. Very stylish. Not that long- only since his "rebirth" after he was so ill. But it was amazing to the stallion manager that Paynter not only remembered me, but kept his manners with me. (apparently he got even more bitey AFTER covering a full book of mares) He didn't try to bite me once! Do the crushes have to be retired or can they still be racing? oh definitely- he and I had 1 "come to Jesus" meeting. He NEVER tried to bite me again. In fact, the last time I saw him before August was 2 weeks before the 2013 BC and he lifted his nose up for me to kiss it. I wanted to kiss him at WinStar, but the whole time I visited, the stallion manager was biting his fingernails, and I thought if I tried, I'd give him heart failure. Are we limiting ourselves to Thoroughbreds? Good question cause one of my favorite horses is Hickstead, but he isn't a racehorse and he isn't alive. So I don't know if we are doing horses that are still living, or horses that are still racing/eventing or retired. Not a stallion either but would love to make a trip to the Kentucky Horse Park to visit Funny Cide- the gutsy New York bred gelding who won the derby and preakness on heart alone i think! I got to see him run and win his last race at Fingerlakes! Well in that case, I shall stick with Thoroughbreds then. Alllllllthoooooough, we ought to have one for stallions in general. At some point. No hurry though. Well...maybe not a living, breeding stallion, but he was still fully "intact". Cigar! I enjoyed that private moment I had with him at KHP in 2007 where we were alone and exchanging breaths through the mesh of his stall door...he also allowed me to touch his soft muzzle with my fingers...until a couple of ladies came up to break that magical spell....Cigar quickly ran to the other side of his stall and turned his back on the ladies. Creator. Handsome, haughty, condescending. He will deign to accept special treats from peasants like me, but only because they are his due. I also adored both Patton and Marquetry, for different reasons. Such gentlemen. Both of them were so kind, you'd have thought they were a couple of old geldings. Quality Road is a handsome guy. He has a gorgeous face. I didn't appreciate this until I saw him in person. His beauty doesn't come across completely in photographs. I have a ton of stallion crushes, but here are a few. 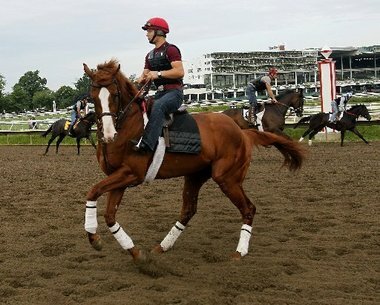 Why: Union Rags does not only have the looks, but he also has the talent of a great racehorse. Union Rags captured my heart the first time I watched him race live. I also loved the fact that his trainer was Michael Matz who is the trainer of Barbaro. Union Rags is just beautiful and has proven that in his foals that have been born this year. 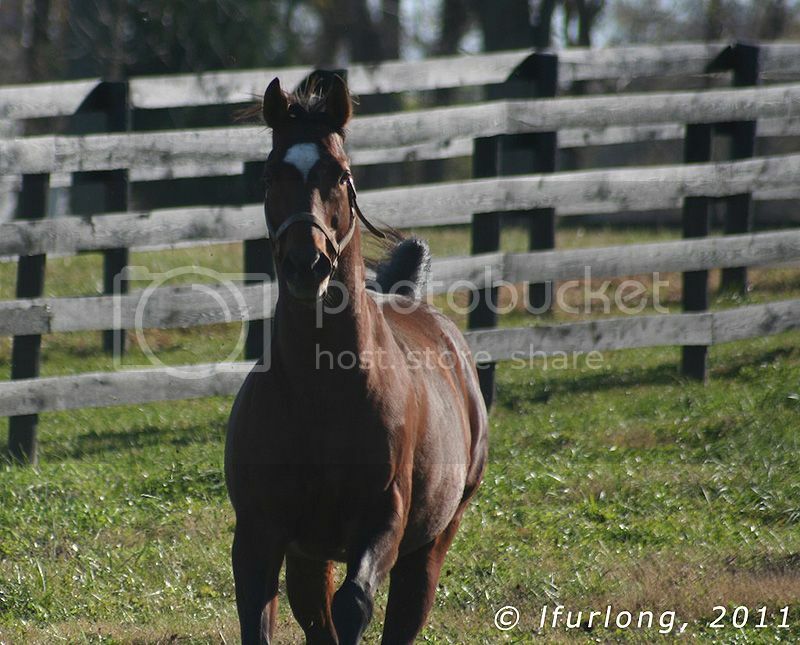 I can't wait to see what his foals do on the track in the future. Why: Curlin caught my attention when I saw his first race on tv. I looked up his pedigree and fell in love with him right away. I loved the fact that his sire was Smart Strike who I also love. 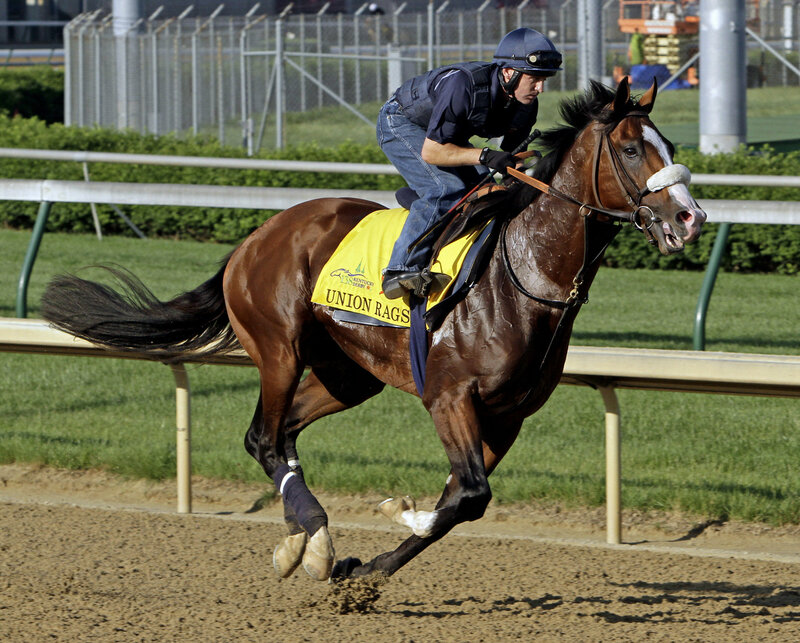 I cheered on Curlin during the Derby, hoping that he would win the Run of the Roses. I was thrilled when he beat Street Sense in the 2007 Preakness Stakes. I watched him get beat by Rags to Riches in the Belmont Stakes that year as well. Curlin won the 2007 Classic and I was thrilled. I was really upset when he was retired, but I love him even more now. He has given us great offspring that we have loved. Ride on Curlin and Palace Malice are two of my favorite offspring that I have seen race. And of course we can't forget about Jess's Dream who I can't wait see race. 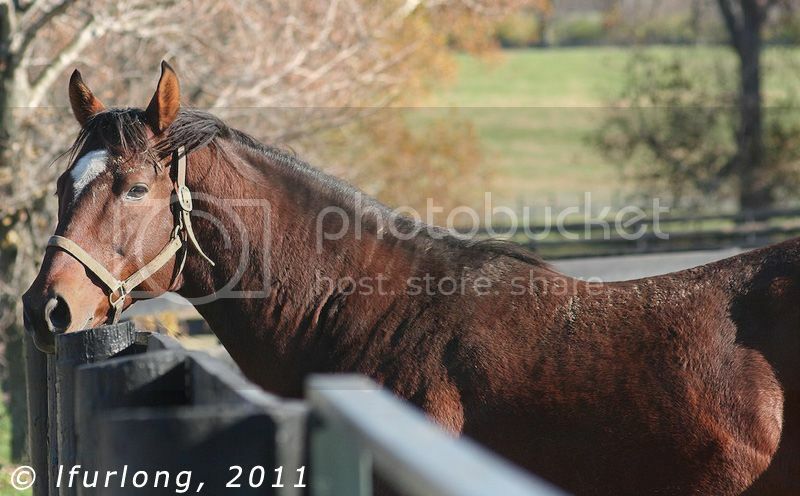 Why: I think it is obvious why......he is a full brother of Barbaro. 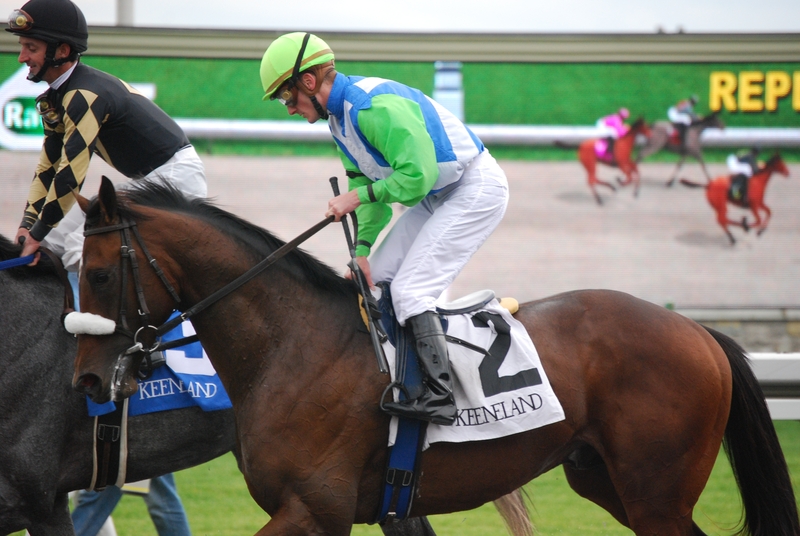 Even though he did not have the same races as Barbaro, Lentenor has stole my heart in more ways than one. He is a great horse, not to mention I have meet him before a few times at the Indiana Stallion Station when visiting family. He is an amazing horse and I will never forget when I meet him. Why: SHackleford, there are not enough words to describe how I feel about Shack. He is a beautiful horse and won my heart in the 2011 Preakness Stakes when he got all worked up, but still went on to beat Animal Kingdom and win the Preakness Stakes that year. Shackleford is an amazing horse and he is just beautiful I can not wait until his foals start racing. Shack will always have a special place in my heart. AP Indy has been my "mane" man since 1991 ..
Lol Bigherbie! CC1121, I love the picture of Shack you posted. And PlainBays, I also love that picture of Funny Cide. He just looks like a fighter! And I totally love Secretariat, and I wish I had been able to meet him. Haha thanks. Shack has always been a special horse to me. Can I tell ya how much I like this guy? Sure, he hasn't exactly taken the world by storm as a sire, but he's a California bred, we share the same birth month (I'm at the beginning, he's at the end, LOL) and his sire used to stand at one of our "local" (as in less than 30 minutes away) farms. I remember as a 2 year old, the local paper was already printing stuff about him as a sort of "favored son" and I definitely was on hand for a lot of his big races. After he won the Santa Anita Derby and was well regarded as a Derby contender, it was sort of big news for the local paper. We'd never had a horse that was local, so to speak, running for the Roses. I even got his hat from HorseHats.com. Loved the guy! Getting to meet him again, a little more up close and personal was the icing on the cake. Well... of course, the late, great Dynaformer. now, Shackleford. And if we include those still racing, California Chrome.